No signs of a K-3 or anything above the K-5II. I personally do not believe Pentax is launchning a full frame anytime soon. There may probably be an update to the SLR line spring next year. I had the honor to meet James Malcom from Pentax USA and Wolfgang Baus from Pentax Europe. 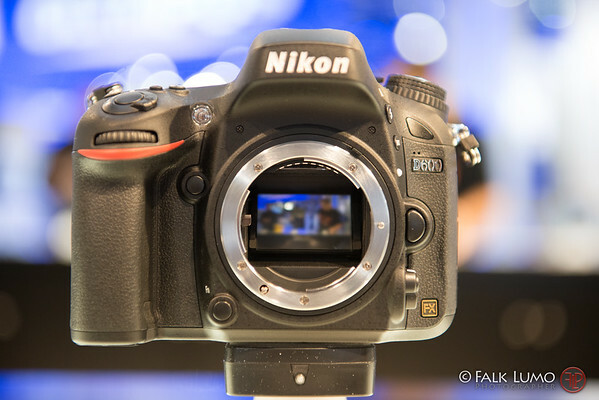 Of course, Nikon has an array of D600 ready to try out. I had the chance to make a couple of test shots with the D600 and I may be wrong, but the shutter noise of the D600 is a pleaseant surprise for me: Relatively silent and smooth, definitely more on the D7000 than the D800 side of things, if not more silent. 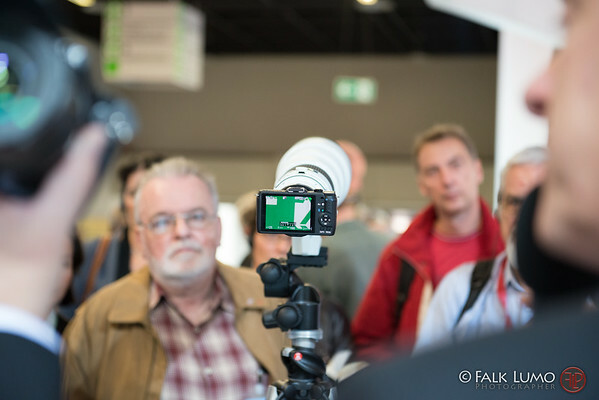 Canon said that there won't be any additional announcements at Photokina from Canon. Sony has all its new gadgets to show, RX1, VG900, A99. Nice. And all full frame. I didn't notice any other announcements. 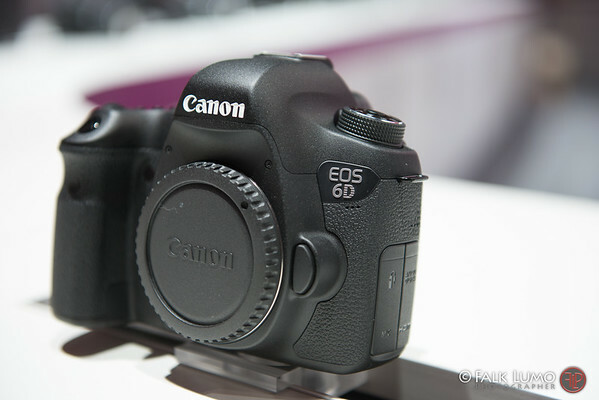 The image of the RX1 above is such that one should be able to determine dimensions of the body w/o lens. It wasn't possible to touch the RX1. There is only one here in Cologne. 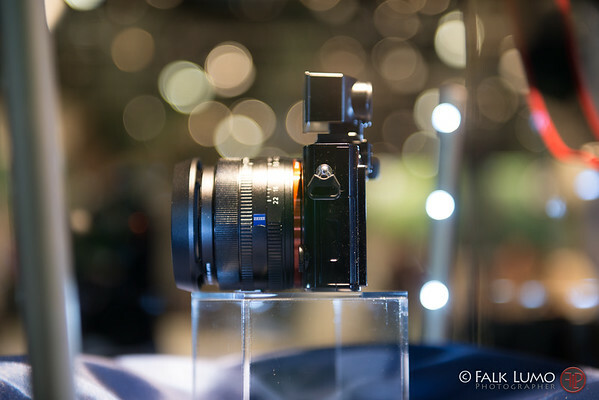 Fuji has the new X-E1 on display (cf. title image). Leica will have a big announcements this night (7 PM European Summer Time) in hall 1. I have been able to have a glimpse at their hall before I was discovered. I promised not to say anything. But it looks big. More will be in a separate blog post. 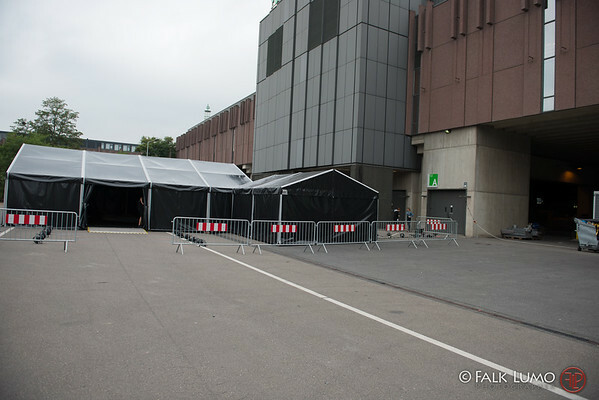 Below is their special entrance area reserved for invited guests tonight.